A home loan modification is fast becoming the last great hope for Washington homeowners now facing default or foreclosure. It has been speculated that HALF of American homes will be "underwater" in 2011, and now is the time to act for borrowers! Government programs have left most borrowers in no better position than before, and lenders are not as eager to help homeowners looking for mortgage modification on their own. Homeowners can immediately determine what your current mortgage debt-to-income is and how much your monthly payment may be reduced if you qualify for Obama's Loan Modification Program. With a loan modification, a Washington homeowner can permanently change one or more of the terms on the mortgage, making the monthly payments more affordable. Modifications of the loan can include lowering the interest rate, extending the term of the loan, or by adding missed payments to the loan balance. With a successful modify, homeowners are able to save their homes, while obtaining an affordable monthly payment that allows them to stay in the home. 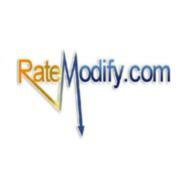 Loan modification is a complex process involving persistent communication to the lender and skilled negotiation. Great attention must be paid to detail throughout the process, particularly when completing lenders' paperwork and meeting their deadlines. Before a home loan can be modified, a great deal of paperwork is required including tax returns and proof of hardship. For these reasons and others, it is essential for borrowers to know their options and work with a skilled professional in order to accomplish a secure and successful modify. Distressed homeowners looking to modify their home loan may follow a number of helpful tips in order to assist them in modifying their home loan successfully. Borrowers should keep track of all the notes and communications they have with their lender, including details like dates and contact times, as well as who you were contacted by and your representatives. They should always follow up on any requests made in writing, making copies before sending their letter by certified mail with a "return receipt requested." Even the schedule a borrower follows through the loan modification process can result in better, or worse, results. Coincidentally, borrowers must meet all the deadlines set by the lender, while completing any requests ahead of time or as soon as possible. Because modifications are generally for owner occupied property, it is advised that borrowers do not move out or rent out their home during the process. Countless Washington homeowners who have attempted a home loan modification on their own have commonly found it a grueling hassle, and usually are simply denied the modification in the end. 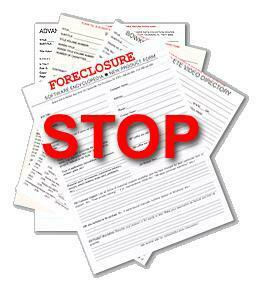 Lenders are unwilling to provide modifications in general, and deal with thousands of such requests a day. As a result, it is often more difficult for borrowers to acquire a successful modification on their own. Those who try are usually denied right off, or get lost in the shuffle and left without communication on their case, often spending months waiting for phone calls from their lenders trying to work out their situation. When they are able to contact their lender, they then risk being told they need to contact another department or wait longer for more paperwork to arrive or be completed. The borrowers who are able to complete a modification on their own commonly end up in "cookie-cutter" modifications that do not take advantage of all the lender's options and best interest. With a free loan modification evaluation, troubled borrowers can immedialy find out what savings and options are available to them under new government programs. With a well-established and certified modification company, homeowners have the best chance of getting a home loan modified securely and successfully. Able to represent the borrower in ways they are unable to do themselves with the banks, mortgage loan specialists are able to negotiate with lenders and assure an appropriate and affordable modification gets completed whenever possible. All Washington homeowner now facing foreclosure, or those about to be, should immediately begin exploring all the options available to them, including the new government programs designed to help you get a successful loan modification. Under President Obama's "Making Home Affordable" plan, homeowners can save hundreds a month by getting a home loan modification or mortgage refinance.